The cause involves many factors — primarily increased wastewater disposal from all oil and gas operations, including from fracking. Other factors include Oklahoma’s geology and high oil prices. Sanders, a 2016 Democratic presidential candidate, brought up the rise of earthquakes in Oklahoma during the confirmation hearing for President Donald Trump’s nominee to lead the Environmental Protection Agency, Scott Pruitt, who’s currently Oklahoma’s attorney general. The hearing was held by the Senate Environmental and Public Works Committee, which approved the nomination on Feb. 2 without any Democratic support. Sanders, Jan. 18: Can you tell me, as I think all of us know, Oklahoma has been subjected to a record-breaking number of earthquakes. Scientists in Oklahoma — or scientists say that Oklahoma’s almost certain to have more earthquakes, with heightened risk of a large quake, probable, to endure for a decade, and that the cause of this is fracking. Can you point me, picking up on Senator Harris’ discussion with you, can you point me to any opinion that you wrote, any enforcement actions you took against the companies that were injecting waste fracking water? We’ll get to Pruitt’s answer to Sanders’ question about enforcement actions later, but first we’ll explain what scientists know about the rise in earthquakes in Oklahoma and the causes behind it. Starting roughly in 2009, the central U.S. has experienced a “dramatic increase in seismicity,” or the frequency of earthquakes, says the U.S. Geological Survey. Between 1973 and 2008, the region had an average of 24 earthquakes per year that measured 3.0 or higher in magnitude. Between 2009 and 2014, the number of those earthquakes increased to 193 per year on average. Scientists concentrate on earthquakes of magnitude 3.0 or more because earthquakes of lower magnitudes often can’t be felt. Oklahoma, in particular, has experienced a similar, if not more severe, trend. Between 2000 to 2008, the number of 3.0 or higher earthquakes reached no more than three per year, Jacob Walter, a seismologist with the Oklahoma Geological Survey, told us in an email. In 2009, that number jumped to 20 earthquakes, only to increase to 67 in 2011. The largest spike occurred between 2013 and 2014, from 110 to 579 earthquakes. So far, seismicity in the state has peaked at 903 earthquakes in 2015, with 2016 coming in at 623. The U.S. Geological Survey and independent scientists both say wastewater disposal, not the process of fracking, is primarily responsible for the quakes in Oklahoma. Fracking, or hydraulic fracturing, is a method used to obtain natural gas and oil from rock formations underground. The process involves injecting water, sand and various chemicals into drilling wells at high pressure, releasing oil and gas that would otherwise be difficult to retrieve. Wastewater, on the other hand, is the byproduct of all oil and gas operations, including from fracking. This water is injected deep underground and left there permanently. In a 2015 review article published in the journal Seismological Research Letters, Justin L. Rubinstein, the deputy chief of the USGS Induced Seismicity Project, and a colleague explain that fracking fluid comprises 10 percent or less of the total wastewater from oil and gas operations in Oklahoma. The other 90 percent is “produced water,” which is “brine from ancient oceans that was entrapped in the rocks” along with the oil and gas, they write. When oil and gas is recovered, the produced water is recovered with it. “Virtually all oil wells” extract produced water, regardless of whether or not they’re fracked, the authors said. Wastewater disposal is not only “responsible for the vast majority of the increase” in earthquakes in the central U.S., but also “the largest and most-damaging” induced, or human-caused, earthquakes, the authors concluded. The process of fracking, on the other hand, “is directly causing a small percentage of the felt-induced earthquakes observed in the United States,” they added. In fact, multiple studies have found evidence to suggest that wastewater disposal, not the process of fracking, induced Oklahoma’s second worst earthquake to date, which carried a magnitude of 5.7. The epicenter of the quake was located near Prague, a small town that’s about an hour outside of Oklahoma City, and occurred on Nov. 6, 2011. The state’s worst earthquake to date occurred on Sept. 3, 2016, at a magnitude of 5.8. But what’s the mechanism by which fluid injection causes earthquakes? As water is injected underground, the pressure within the pores of rock underground increases. If that pressure increase reaches a fault line, or a crack in the earth’s crust where rocks on each side of the crack have moved past each other (see image to left), the pressure, or stress, holding the fault in position lowers. This then reduces the friction between the two rocks, making them more likely to slip. A slip at a fault line is the process by which all earthquakes occur, that is, both induced and natural quakes. Boak explained that without the air pressure coming from underneath the table, the hockey puck movement is hindered by friction. But with the air pressure, the puck slides on the table easily. Fault lines slip because of increased fluid pressure in a similar way, he said. But why do disposal wells, compared with fracking, cause more felt earthquakes? The answer lies in the length of time that disposal wells operate and the quantity of water that’s injected into them. The fracking process takes “a few hours to a few days,” while wastewater disposal wells “operate for years or decades,” Rubinstein and his colleague explain in their 2015 review. Consequently, in just a few months, wastewater disposal wells “will greatly exceed the volumes injected by even the largest hydraulic-fracturing operations,” they write. 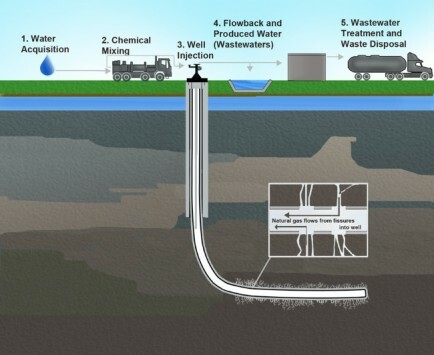 In short, because wastewater disposal wells inject considerably more fluid underground and operate for longer periods, they contribute more to lowering the pressure at fault lines, which suggests that they are more likely to induce earthquakes than fracking. To be clear, this doesn’t mean fracking can’t cause earthquakes, only that the evidence suggests the process causes less earthquakes of lesser magnitude than wastewater disposal. This also doesn’t mean that all wastewater disposal causes earthquakes. A multitude of geological factors must be in place for fluid injection to induce felt earthquakes, including large enough faults (the larger the fault, the larger the quake) and pathways for fluid to reach fault lines. And these geological factors are in place in the regions of Oklahoma where oil and gas companies have disposed of high amounts of wastewater. However, we did ask two experts if they thought fracking could indirectly be blamed for the uptick in produced water from oil and gas exploration. According to the Energy Information Administration, fracking, in combination with horizontal drilling, has led to a substantial increase in the production of oil and natural gas in the U.S. as a whole. As its name suggests, horizontal drilling (see image to right) enables a single well to cross through a larger portion of a fuel reservoir and, consequently, extract more fuel. According to the Independent Petroleum Association of America, which represents independent oil and gas producers, the Mississippi Lime reservoir, which actually spans Northern Oklahoma and Southern Kansas, has been conventionally developed, that is, not developed with horizontal drilling and fracking, for “more than 50 years.” However, horizontal drilling and fracking have recently led to a boom in production in the Mississippi Lime, multiple sources say. Still, Rubinstein said fracking and horizontal drilling were not indirect causes of the induced earthquakes, in his opinion. But “the boom in produced water (and thus induced earthquakes) would not have happened without” these technologies for economic reasons, he added. Mark Zoback, a geophysicist at Stanford who has researched the relationship between wastewater disposal and earthquakes in Oklahoma, also pointed to high oil prices as the reason for exploitation of these “low cut” reservoirs. “The reason why so much produced saltwater ‘suddenly’ needed to be disposed of in Oklahoma was mostly caused by $100 [per barrel] oil price,” he said in an email. “At this price, some oil companies chose to develop already-known formations like the Mississippi limestone, which produces tremendous amounts of saltwater along with oil.” At such a high price, companies “could still make money after separating and disposing of tremendous quantities of water,” he added. Oil prices peaked in 2008 at around $140 per barrel and hovered around $100 per barrel between 2011 and 2014. Since 2015, the oil prices haven’t surpassed $60 per barrel. “When the oil price dropped, much of the Mississippi Lime production was curtailed,” said Zoback. As for Pruitt’s response to Sanders’ question about what actions the Oklahoma attorney general “took against the companies that were injecting waste fracking water,” the senator failed to let the nominee respond fully on many occasions. Later on during the hearing, Maryland Sen. Ben Cardin asked Pruitt a similar question, to which Pruitt gave a longer response. Pruitt: With response to the seismic issue that you’re talking about, the earthquakes in Oklahoma, the Corporation Commission has actually declared off limits certain drilling activity in hot spots already. They’ve taken a very aggressive approach. And I too share their concern. I’ve been in conversation with the commissioners at the Corporation Commission. That’s who has jurisdiction in this matter. And they have taken, again, very meaningful steps to declare off limits certain drilling activity to try to see if it will help reduce the number of earthquakes happening in Oklahoma, and it has helped. The Oklahoma Corporation Commission did take measures to reduce induced earthquakes in February and March of last year, namely by reducing the amount of wastewater injected into the ground in Central and Western Oklahoma by 40 percent by May 2016, compared with 2014 levels. Scientists do believe this reduction has and will help. So far, “the decrease in seismicity rate is still following the decline we predicted in the paper,” Zoback told us. As we already noted, the state did see 623 earthquakes of magnitude 3.0 or greater in 2016, compared with 907 in 2015, but that’s still way above the three or less earthquakes the state experienced per year between 2000 and 2008. Boak, Dec. 20: While the data indicates that seismicity related to [these regions] would be far less frequent and much lower in magnitude than the activity we are addressing in the main earthquake region of the state that has been linked to wastewater disposal, we have enough information to develop a plan aimed at reducing the risk of these smaller events as operations commence. 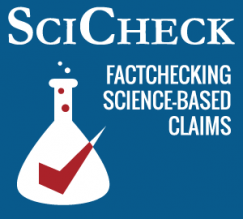 Sanders oversimplified the issue when he said, “Scientists say that Oklahoma’s almost certain to have more earthquakes, with heightened risk of a large quake, probable, to endure for a decade, and that the cause of this is fracking.” The cause of the induced earthquakes involves many factors — primarily increased wastewater disposal from oil and gas operations, but also Oklahoma’s unique geology, horizontal drilling and fracking technologies, and high oil prices. Scientists also say the risk of larger quakes has been reduced because state regulators have instituted a 40 percent reduction in wastewater disposal.